From today onwards, Traffic cops in Delhi might perhaps be more obsessed about number plates than about anything else. 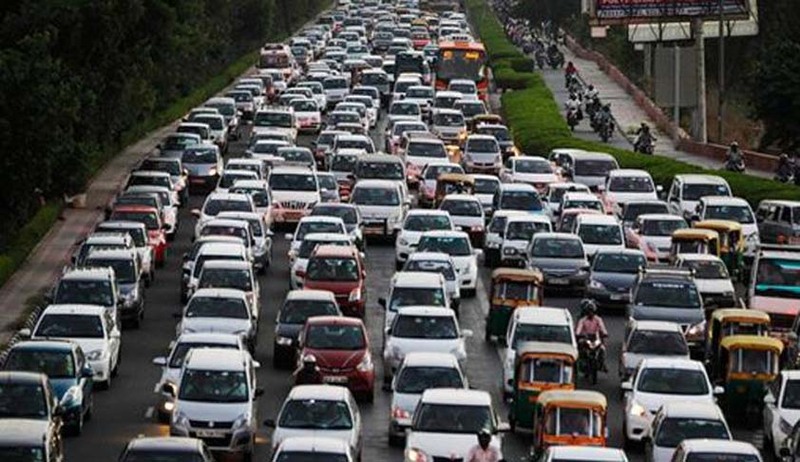 The Government, which the Delhites overwhelmingly voted to power, has asked its people to use odd numbered Cars on odd days and even numbered ones on even days. The cops are told to make those who violate these ‘orders’, pay Rs. 2000 as penalty. Many are excited about these environment friendly orders, and some other feel it is odd and this author falls into latter group. Environmental concerns apart, there is something in constitution which says that all of us, as citizens of India, has right to move freely throughout the territory of India and of course this right is subject to some reasonable restrictions. The state can indeed make laws restricting this freedom of movement in interests of the general public and this ‘order’ by Delhi Government is justified by some as a ‘reasonable restriction’. With regard to the above rulings of Apex court, it can be safely said that right to ply motor vehicles on public road is a fundamental right and restriction can be imposed on this right only if it is in interest of general public. Let us examine the odd-even scheme in this context. Suppose a Delhite, wants to receive his special guest (who is coming for the first time in the Capital) by his ‘odd numbered’ car on an ‘even’ day, will this rule permit him to do so? Now, this man might be a person who uses his Car rarely and uses it only for the purposes like the one mentioned above. How is restricting him ‘reasonable’? To put it other way, if a person who uses his car very rarely and uses public transport more often, will it not be odd to ask him not to use his car on his special ‘even’ day when he wants to use it? The man who uses his ‘even numbered’ car on a special ‘odd’ day might be less polluting and more environment friendly than the one who religiously follows this ‘order’ of the Government. The Government can indeed ask people to avoid the vehicles which are proved to be causing more toxic emissions. It can certainly ‘encourage’ its people to use public transport more often. But I believe, India as a democratic country, grants its citizen the liberty to choose when he should drive the vehicle he bought using his money and for the use of which, he pays tax to the Government. Exempting two wheelers makes it even odder. According to India Today report there are over 55 lakh two-wheelers including motorbikes and scooters as compared to over 27 lakh private cars in Delhi. According to the Centre for Science and Environment, two-wheelers account for 31 per cent of the pollution while other four-wheeler vehicles are responsible for 20 per cent of vehicular pollution. If the objective of restricting the vehicle is to prevent pollution, there seems to be no logic in exempting the two wheelers from this rule. Why should two wheelers have all the fun, people may ask and would eventually make people prefer two wheelers which would only result in more pollution. Recently many activists have rightly condemned the Maharashtra Government restricting their right to choice of their food and the challenge against meat-ban is being heard by Bombay High Court. Right to freedom of choice to use those things which I bought legally using my own hard earned money is indeed fundamental. Government can prevent me from buying it, but it cannot ask me not to use it when I need it. I believe if some Delhite asks the Chief Minister of Delhi that “Will Delhi Traffic Police go and penalize a Common Mandriving his ‘odd numbered’ car on an ‘even day’ in Delhi Roads because the Chief Minister and his Government thinks I am polluting the environment by using it on a day I like or prefer it to use?”, he will be as justified as the Chief Minister who used it in context of right to choice of food.